00:30 We didn’t win a Webby, but Hubspot did. 02:33 John Blue heads South of the Border, and reports back on the billboards, John regrets that the fireworks aren’t what they used to be. Digital billboards and billboard strategy. 12:46 Using Google’s Website Optimizer for conversions, leading with a bold question. 21:51 Upcoming Event Watch: We have a free ticket for the for the Inbound Marketing Summit, April 28 and 29 if you promise to report back. Learn from Chris Brogan, David Meerman Scott, Paul Gillin (Dallas and Boston coming up too). Also coming up: PRSA in NYC, Podcasters Across Borders, MarketingProfs in June, NEDMA. 24:51 Question of the Week: What are you doing in website optimization? I’m interested in the ticket to the Inbound Marketing Summit. I’m not new to new media. I’m a podcaster and very active on twitter, @PodcastJunky. I am however very new to using New Media in marketing. I’m currently in the first month of my first job in marketing where I am the Community and New Media Liaison for our clients. I’m sure this conference will add many valuable tools to my tool box. 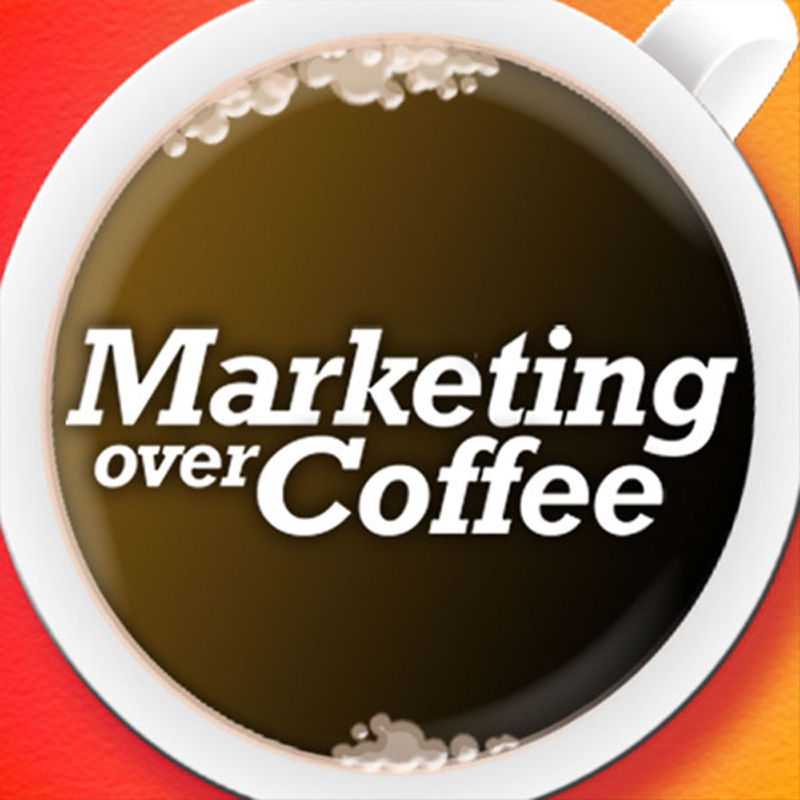 I am a big fan of Marketing Over Coffee. It helps me get through my daily commute from CT to NYC. I was hoping to attend the Inbound Marketing Summit in Boston and thought I would offer up my services to report back for the ticket to attend. I am a novice Federal government blogger, Twitterer, and Facebook user. We use them to champion our international search and rescue program while fostering a better relationship with our constituents. I also have a Morantz recorder if that helps! Thank you for helping me become a better member of the social community! I graduated from the marketing program from the University of Washington 2 1/2 years ago. The curriculum was heavily based on traditional marketing thinking established decades ago. We learned nothing about SEO and little about internet marketing. I have learned about 90% of what I know about marketing after I graduated from reading Seth Godin, listening to podcasts like Marketing Over Coffee, and reading blogs. Great podcast on digital signage and timely too! My last 4 blog posts focused exclusively on digital signage and leveraging the mobile phone to capture marketing responses on-the-go (i.e. SMS short codes, RFID, QR codes, StarStar service…etc.). If you get the chance, check out the posts, as you may find some of the info. interesting. Not sure if this was the podcast talking about what uni’s are teaching these days but I can definitely fill you in! I found out that he runs a marketing podcast and is completely in the online/social space that I wanted to learn more about. Before going to Uni, I thought that I would learn about the history of big businesses with lots of boring case studies. It is true that there are lots of these in my commercial law subject, however not at all any where else! I am basically being taught the fundamentals, or as i like to call it the skeleton of running a successful business. Knowing that the content that you put in your skeleton is what will set you aside from others. Monash uni in Melbourne, Aus is creating an environment where everything is a possibility, an environment where you can have amazing ideas and socialise with amazing people. Zac Martin @zacmartin and Simon Oboler are two of these people. Both my age and so involved in the online world. Going to Uni was a great decision. I am involved in the MMSS (Monash Marketing Students Society) and are already making contacts in big marketing agencys in Aus. Of course, there are some times where I know my lecturers have no clue about where marketing channels are going in the future. But it always makes me feel good when my class mates come up and tell me how good they are. I just smile and think ‘one less person to compete with in the corporate world’. Finally, I know it all comes down to what you know on paper and what degrees you have. But you can never go past results, I recently achieved a 40% click thorough rate on an email campaign i did to over 10,000 people! Nothing I learnt at Uni helped me get this, probably my other lecturers like Chris and John who I listen to every week. Thanks guys for the show (and the past mentions)! How can I get on the list for the Dallas Inbound Marketing Summitt. Be happy to do my part for the free ticket!